FormBuilder has an option to add authentication to a given form, which will require users to log in before completing the form. Issue: A form needs authentication to require users to log in before completing the form. Resolution: Add the desired type of authentication to the form through the Form Properties. 1. Navigate to the form dashboard and click the Form Properties link from the properties section. 2. Select the Authentication tab. 2. Select the appropriate authentication method. Shibboleth: This is campus authentication and the system will allow you to select which campus(es) to allow for authentication. All campuses may be selected if the authentication is not restricted to just one campus. Basic Authentication: Uses a browser-native authentication scheme and allows any campus active directories to authenticate. None: Will not apply a university-based authentication to the form. 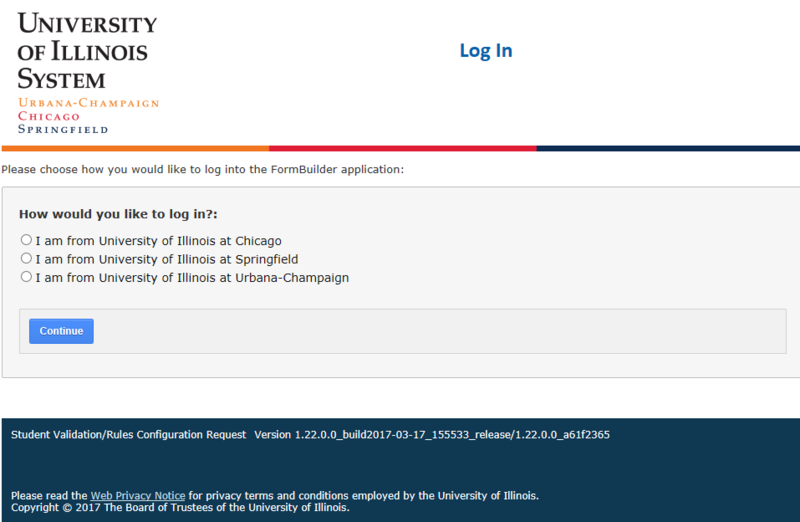 Local Authentication: Allows non-university users to register an account in FormBuilder to use to authenticate. NOTE: Forms may have both an affiliated and an unaffiliated authentication type applied. In this instance, FormBuilder will ask the user how they wish to log in. If shibboleth was selected as the authentication type, any campus selected to allow for authentication would appear in the login list.